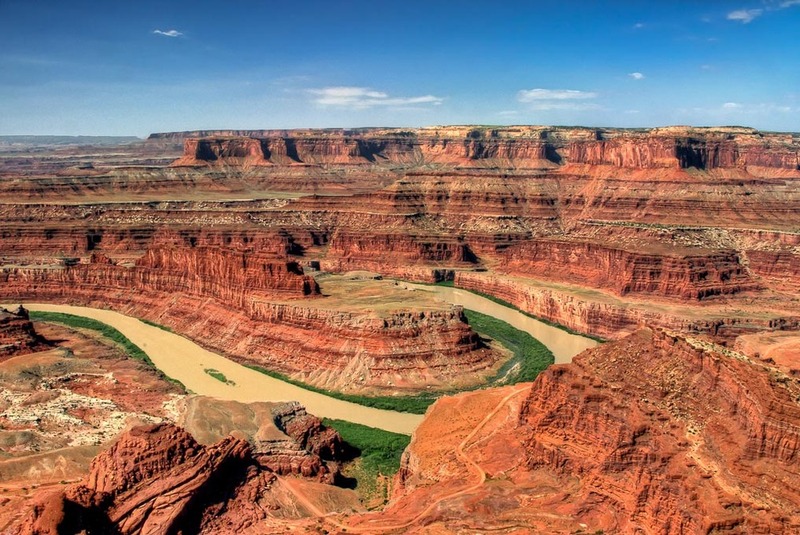 Eastern Utah is home to two wonderful National Parks (Arches & Canyonlands). Tucked in between the two is Dead Horse State Park which is often overlooked. The signature image of the park is this one, where the Colorado River has carved the rock over thousand of years to leave us with this spectacular view which rivals any in the area. The park itself was named after the mustangs that used to run wild in the area. The overlook from which this image was taken from, acted as a natural corral where cowboys would drive the herds so they could be captured for personal use or for sale to others. According to legend, a group of mustangs remained on the overlook and were somehow trapped there. As there was no food or water available, they supposedly died of thirst within sight of the Colorado River.